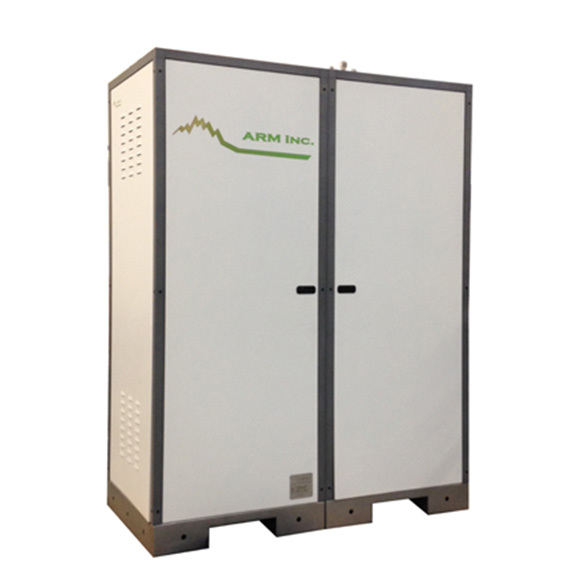 Description ARM’s Point-of-Use vessel only purifiers designed to operate without requiring heat to remove impurities. Factory regeneration is available for applicable models. 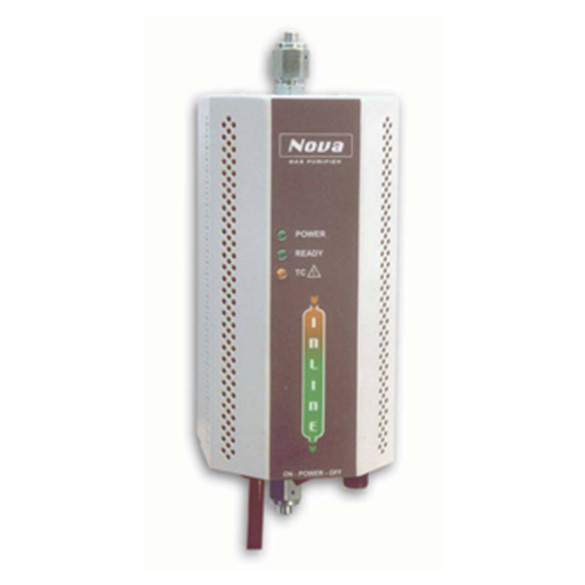 The Nova Series purifiers incorporate a heater, temperature indication and control. 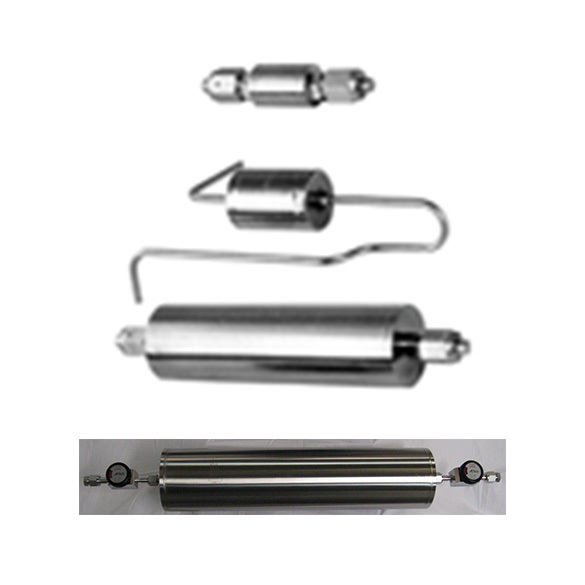 They are typically used when the process gas and impurities to be removed indicate a heated operation is required. Manual inlet/outlet and bypass valves are typical options specified for ease of vessel replacement / regeneration. 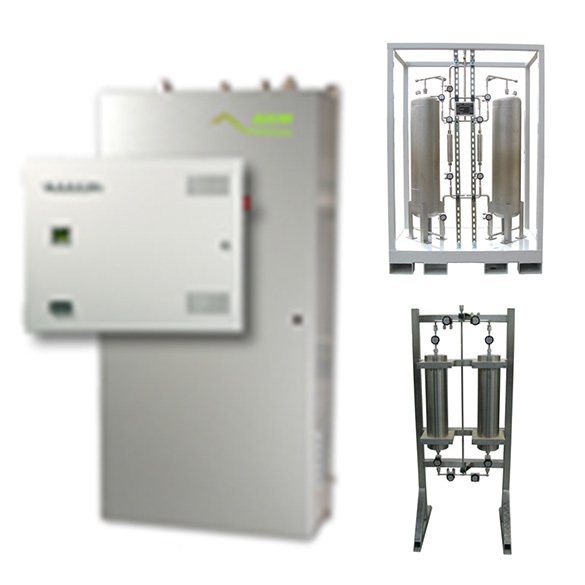 The Pro-Panel Series purifiers is similar to the Nova Series purifiers, but offers more automation and integration. Automated heater control, pneumatic inlet / outlet valves and customer contacts for interfacing with a host for alarm/indication are standard with the Pro-Panel Series. Pneumatic bypass valve operation is an option. 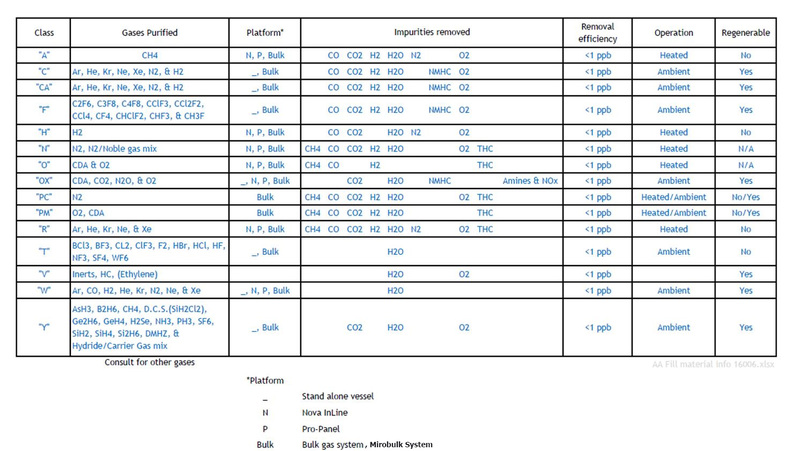 PLC Control, Heated or Ambient; Valve Option - Manual or Pneumatic; H2 removal stage option - Yes/No; Connection option - VCR / Swagelok / tube stub; Internet Accesbility Option; Getter / Catalyst / Adsorber Options; Protected environment installation; NEMA rated outdoor installation. 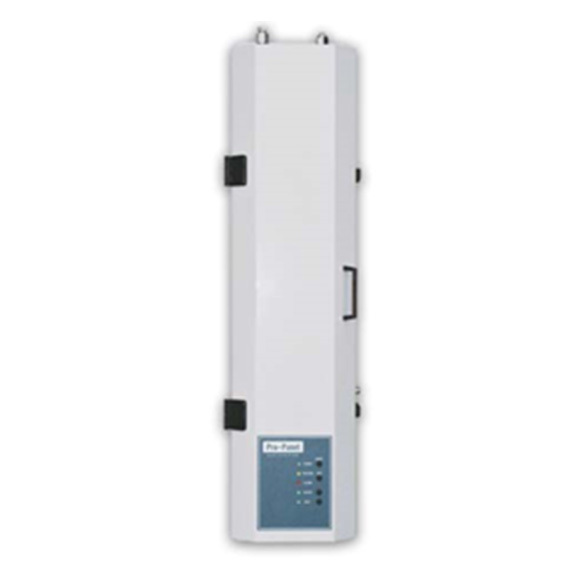 PLC Control, Heated or Ambient; Valve Option - Manual or Pneumatic; H2 removal stage option - Yes/No; Connection option - VCR / Swagelok / tube stub; Internet Accesbility Option; Getter / Catalyst / Adsorber Options; Protected environment installation; NEMA rated outdoor installation. * If the gas to be purified, or impurities are not listed, kindly contact Sermax Cryogenics Sdn Bhd for assistance.